“Two all-beef patties, special sauce, lettuce, cheese, pickles, onions, on a sesame seed bun.” Many Americans remember the TV jingle that listed the ingredients of a McDonald’s Big Mac. The popular double-decker sandwich has been around for half a century—the same as it ever was. And the company isn’t planning to mess with its most famous burger. 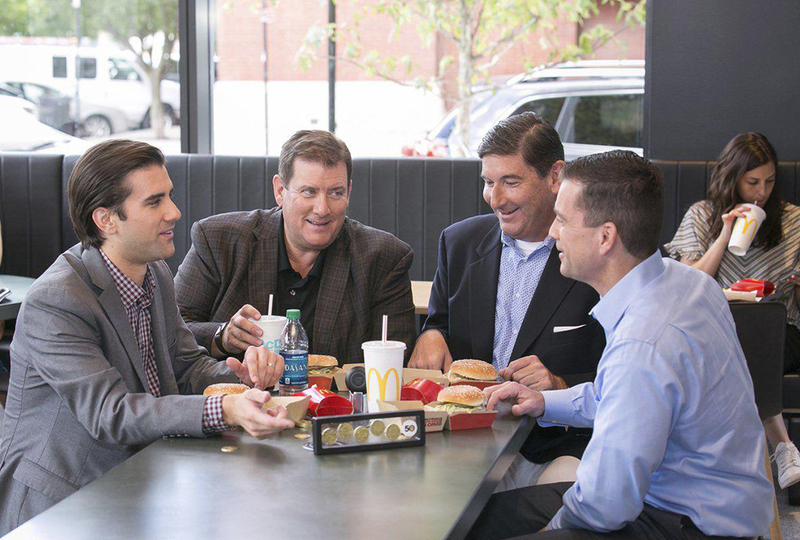 McDonald’s allowed Delligatti to sell the sandwich at one location—but he had to use the company’s standard bun. The wimpy roll flopped. Delligatti tried a bigger sesame seed bun. Boom! 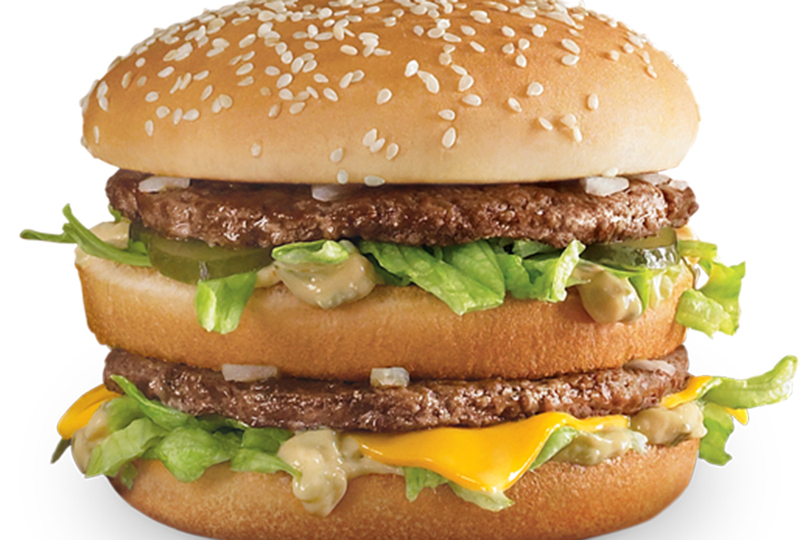 Sales rose by more than 12 percent, and the Big Mac was born. 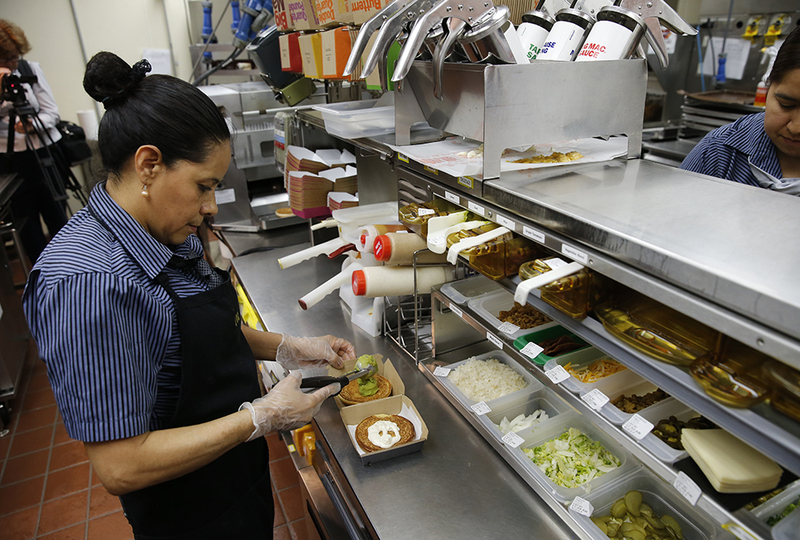 The next year, McDonald’s added the Big Mac to the national menu. Fifty years later, it’s basically the same burger it was back then. The “Golden Arches” has a massive global reach. McDonald’s cheeseburgers, chicken nuggets, and french fries are popular worldwide. But on its U.S. home turf, trendy burger options and dietary concerns are luring many customers elsewhere. The company is working hard to keep up. Some McDonald’s restaurants now offer kale salads, fresh beef, and barista-style cafes—making the Big Mac’s long life especially notable. Not many things in life stay the same: food fads, hairstyles, people—the list goes on. But the Bible says “Jesus Christ is the same yesterday and today and forever.” (Hebrews 13:8) His sameness is rooted in His eternally perfect knowledge, character, and power. In an ever-changing world, that consistency comforts Christians. Keeping the Big Mac unchanged comes with risks. Burger toppings like peanut butter, potato chips, mac and cheese, and fried eggs from newer chains such as Shake Shack and Red Robin might make the Big Mac seem outdated. On the other hand, maybe those odd-sounding trends make the famous burger seem classically appealing. Mike Delligatti, son of the Big Mac inventor, asks, “What iconic sandwich do you know that can beat the Big Mac as far as longevity?” Not one. The seven-very-ordinary-ingredient Big Mac has stood the taste test of time. Would you want peanut butter, potato chips, mac and cheese, and fried eggs on your burger? No offense, but I don't think I would. I don't think I've ever had a Bic Mac. We don't really go to McDonald's. big macs are the G.O.A.T. i would like the peanut butter, potato chips, and mac and cheese and fried eggs sounds good together. YEET! I agree with you, Anna C.
I agree with you, Anna C. That type of stuff just doesn't sound right on a burger. My mom really dislikes McDonald's, too. I know that I have never had a Big Mac. My family tries to stay healthy... and we usually only go out to eat once a month. As a treat. Big macs are awesome! I just don't like the pickles. Everything they put in their burgers are fake. Thats why you get fat from eating too much. Amen, Andrea B! just don't get obsessed. We do not live near a McDonald's and I do not like fast food. Big Macs are sooo good! Aww, Isabel! We used to have all food named animals too, until we got our cats (Parker and Clyde). We were thinking of naming it Walnut (Wallie) if we got a boy, and Moxie if we got a girl. Moxie is a food, believe it or not! And also a really cute puppy name ;) Peanut Butter was also a possible name. and Mochi. Those are basically our top names. Anna C: Chocolate Chip was a possibility! Brenna G: We also were thinking of Oreo and Coco. Popcorn... I'll tell my parents about that! That is a really cute name. And Big Mac might be fun for a boy! Now that I think of it, its really cute! I haven't had a Big Mac. McDonalds should stick with burgers and fries. Jordan J, Big Macs are just really big burgers. Sadly, my Dad doesn't care about the name Big Mac. And my Mom doesn't want to name our dog after a "Unhealthy McDonalds Item". But she does like the name Oreo. Some of our breeders Teddy Bear Puppies look like an Oreo. Most have white and brown or white and black in them. Oh, yeah! I forgot to tell you guys we are getting a Teddy Bear Puppy (usually their a mix of a Shih Zu and a poodle, or a Bichon and a Poodle.) Our breeder has the Bichon Poodle. Their mostly white. We almost named my current dog Ginger. She had a brown and black color when we first got her. But we liked the name Kona. And now she is the colors white/tan and grey!! That was a really big change in colors. Thanks for the name ideas! Awww! Teddy bears are SOOOOO cute! A family I know has one and he is adorable! Have fun with your puppy! McDonald's food is terrible for you. i honestly dont like McDonalds because i think the toys are more healthy than the food and i dont like their "burgers". btw i accidentally sent that other comment witch was accidental. Even though I've never had a big mac before, I would like to have one. I do like McDonald's and probably wouldn't like the peanut butter and chips though. I love McDonald's!!!! I always have their Big Macs and there sooooooo gooooood. Its very rare for me to eat there though. I mean peanut butter out of all toppings? Eat that the rest of your life you'll become a "big" person just like the "BIG" Mac. I'm grossed out. I hate burgers. Unless It's my dad's turkey burgers! That picture of the Big Mac was way too close up. I also hate the pickles and special sauce. I'll just take the bun! WHO NEW THAT THE BIG MAC HAS BEEN ARONG FOR SOOOOO LONG!!! the Big Mac is not gross! I don't go to mc Donald a lot but I have try the Big Mac and I am tell you it is great. if they want to stay up to date with the other resturants, i think they should experiment. Wow, it has been around for a while! The new toppings are very weird. I mean, fried eggs on a BURGER?!?! I can understand it on a breakfast sandwich, but a burger is going to far. I think they taste like any other mcdonalds hamburger, nothing special about them. We are getting our puppy in 6 days!!!! Its probably gonna be a boy. We were thinking of naming it Graham Cracker, and calling it Gram for short!! That's disgusting!!!!!!!! My best friends mom has a McDonalds burger from 7 years (no joke) ago and it looks like it was bought today......... I wish I could show y'all a picture to prove it! The new puppies name is Moxie. Shes adorable! Thanks for the name ideas!